One Billion Rising in Second Life will once again be taking place in Second Life on Thursday, February 14th, 2019, with the event officially commencing at just after midnight SLT on the 13th/14th February, with DJ Kess Crystal launching things. Activities will then run right through the 24 hours of the day with music, dancing, art and events. This year’s event follows past OBR events in Second Life, with four regions laid out to offer a central music / dance arena, around which sets and sessions will move throughout the 24 hours of the event. In the surrounding park lands, and linked to the central stages and one another by trails and paths, are art exhibits, gardens, and additional event areas, such as the Poetry and Prose area. Also to be found within the regions is the pavilion honouring the work and courage of the joint Nobel Peace Prize winners in 2018, Denis Mukwege and Nadia Murad “for their efforts to end the use of sexual violence as a weapon of war and armed conflict,” according to the Norwegian Nobel Committee announcement on October 5th, 2018 in Oslo, Norway. The art installations this year include work by the team at 2Lei, Storm Septimus, Krystal Rabini, iSkye Silverweb, Slatan Dryke, Darkstone Aeon, FionaFei, Isadora Alaya (Otcoc), and Marcel Mosswood. The full event schedule is available via the OBR in SL website. Once again, gifts will be available to those attending One Billion Rising, and there will be a further Rose Challenge. On offer is a beautiful pink-tipped rose, designed by Kilik Lekvoda, as a mark of both the event and to salute Nobel Peace Prize winners Murad and Mukwege. The pin can be obtained by travelling around the One Billion Rising regions and counting the number of white rose bushes (kindly provided by Lilith Heart of Heart Botanicals) which are scattered around the four regions of the event, including between (but not a part of) the art installations and in the corner parks. When you think you have the number (of bushes, remember – not individual flowers). Go to one of the four OBR landing zones and use the mail box there to post your total – your name will be automatically recorded with your total. A critique sometimes levelled at OBR / OBR in SL is that the issues it raises cannot be solved by dance. Well, that’s absolutely true, just as marching through the streets carrying placards and banners is unlikely to have a lasting impact on whatever it is people might be marching about. However, like marches and protests, dance and music does serve to draw attention to matters. It provides a means by which people are encouraged to stop and think, and for information and ideas disseminated. What’s also important is that it’s a lot harder to see dancing as a threat than might be the case with an organised march or protest – something to take into consideration with countries in which the right to march or protest freely does not exist. Hence why, as well, OBR in Second Life is marked each year with a dance video to the event’s theme song. OBR in SL is not itself a fund-raising event; it also lasts for just 24 hours as a means of raising awareness of violence against women and girls. Of you’d like to show your support for organisations that work tirelessly throughout the year to bring about change. 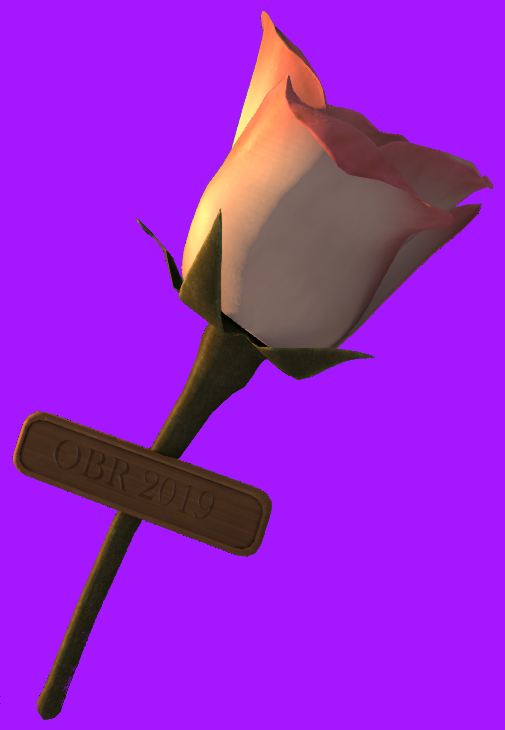 If you would like to support one of them, please visit the OBR in Second Life Non-Profits page for a short list of organisations.